Kristy Acevedo is a YA writer, high school English teacher, and huge Star Trek, Doctor Who, & Harry Potter fan. When she was a child, her “big sister” from the Big Brothers Big Sisters Program fostered her love of books by bringing her to the public library every Wednesday for seven years. A member of SCBWI, she has her M.A.T. in English from Bridgewater State University. Consider, her YA sci-fi debut novel, won the 2015 PEN New England Susan P. Bloom Children’s Book Discovery Award. It was published in April 2016 with Jolly Fish Press as part of a two-book series, The Holo Series. Book 2, Contribute, will be published in 2017. 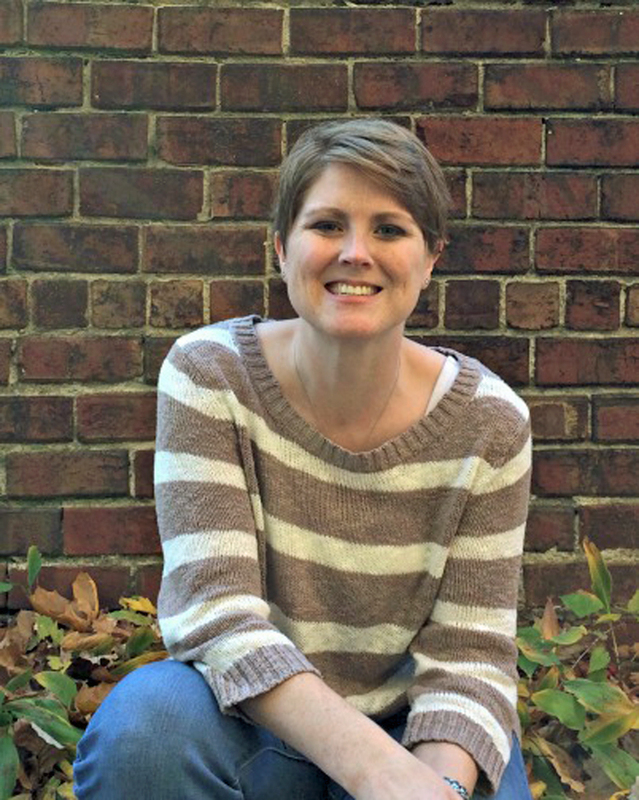 Kristy lives in Massachusetts with her husband, two daughters, and two cats. Sara Whitford’s third-great-grandfather wrote their family’s lineage in a copy of Robinson Crusoe. Adventure, literature, and history are in her blood. Ever since she can remember, she has been fascinated by the intriguing past of the region that has been home to her family for centuries.How could she not be, with stories of intrepid explorers, Indian kings, and ordinary Bath town boys-turned-pirates–like that notorious sea rogue known as Blackbeard? In her Adam Fletcher Adventure Series, Whitford weaves together colonial-era tales that incorporate true life (but often little known) historical facts with stories and characters inspired by her own decades of research. You can visit her online at sarawhitford.com or check out her book series at adamfletcherseries.com. Samantha Garman has a B.A. in Playwriting from the College of Charleston. Her playwriting professor lovingly nicknamed her “a female Woody Allen” due to her witty, snappy dialogue. After college, she moved to New York and has lived in almost every borough before settling in Brooklyn with her husband. She has written two historical romances and one contemporary romance. Her fourth book entitled Dandelion Dreams, is available now. You can learn more about her books on her website. She loves golden retrievers, plaid shirts, and single malt scotch. She can’t wait for Diana Gabaldon’s Outlander series to air on Starz. Her favorite books include (but are not limited to) The River Why, The Catcher in the Rye, the Darkfever series, and The Clan of the Cavebear series. Ask her anything, even weird stuff. She likes that. Follow Samantha on Twitter at @samgarman. After working as a radio news reporter, K.D. obtained degrees in political science and information technology. She landed her dream job and, within a year, life said it had other plans for her. Knocked off her feet by lupus and fibromyalgia, she was forced to change direction. Struck by the George Bernard Shaw quote — “Life isn’t about finding yourself. Life is about creating yourself.” — she switched her focus from the things she could no longer do to what she could create. An avid reader and word nerd, she decided to marry those two passions and pursue creative writing. She loves to laugh, watch movies and spoil her cats. Currently, she’s “traveling” with the quirky, American family she created for her novel, who find themselves in funny, absurd, and serious situations. K.D.’s interest in social and political issues send the family on a vacation that will change their lives forever. Follow her on Twitter at @kdarmatrading for upcoming news about her writing. Follow K.D. on Twitter at @kdarmatrading. Alayna Cole is currently completing an MCA in Creative Writing at the University of the Sunshine Coast in Queensland, Australia, focusing on LGBT+ representation and disrupting the patriarchal, heteronormative traditions of classic fairy tales. She has had a fascination with storytelling since her first word and has fond memories of making her grade six teacher cry with the short story she wrote for show-and-tell. Alayna likes to dabble with writing in an array of genres, with many projects on the go at any one time. Currently she is working on various contracts and a collection of whimsical short stories. You can find her work at the Needle in the Hay writing competition or on her website. Follow Alayna on Twitter at @AlaynaMCole. Marie Grünberg is a student, working hard for her degree in environmental engineering. She loves to write bizarre short stories and has published some of them. Her part time job at a cinema gives her time to observe people, as well as many prospects to refine her characters. In her spare time, she tries to watch every match of her favourite football team and writes about it on her blog. While growing up in a small historic town in Ontario, Canada whose biggest claim to fame is hosting Canada’s oldest annual fair, A.K. Lindsay had a lot of free time on her hands. Since she’s only outdoorsy when her dog insists on a romp in the sunshine, she spent the majority of her childhood barricaded in her room with her nose in a book. Reading anything she could get her hands on eventually translated to writing her own stories. Fast forward to modern day and, now in her mid-twenties, she’s still enjoying the quiet country life. A.K. loves writing speculative fiction and is addicted to world-building, Twitter, and tea, in that order. She also writes historical romance under the pen name Harmony Williams. Connect with her on Twitter at @harmony_writes. For writing tips, book recommendations, and information about her own forthcoming books, visit her website at www.aklindsay.com or www.harmonywilliams.com. While homeschooling and running the office of the family business keeps Claudia H. Blanton occupied for the majority of her time, in those spare moments, she follows her true passion—writing. 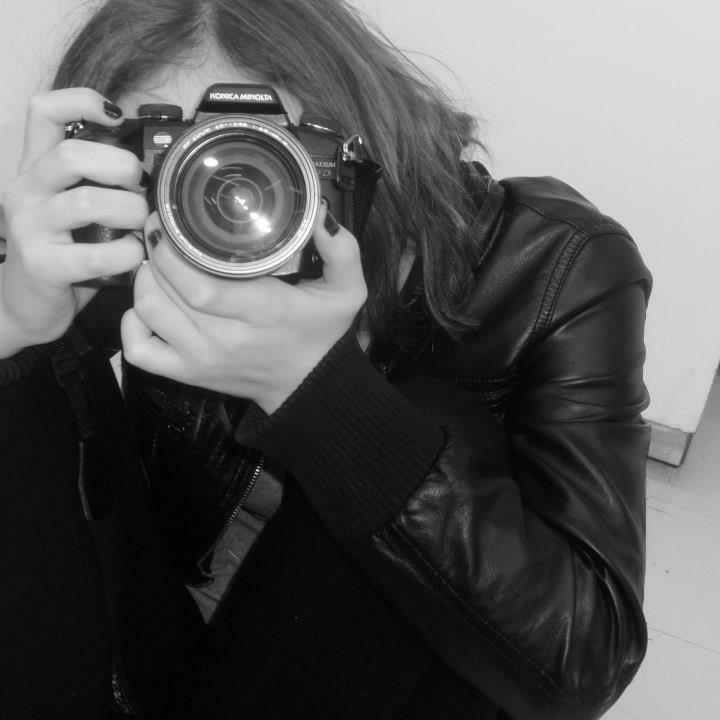 Claudia enjoys writing Flash Fiction and poetry for a variety of online publications, as well as her own blog. Her longer projects range from a recently completed horror spec script entitled The Curfew, to her more ambitious work of a paranormal fantasy series called The World Walkers. She also reviews books for various publishers. Claudia resides with her family and ever-growing addition of rescued pets in Tampa, Florida, but has plans to transition to Los Angeles in the latter half of 2015. She is also an Ordained Pagan Minister, certified Life Coach and Reiki Master/Teacher. You can find her on Twitter @claudiahblanton. Currently working a full-time job in healthcare administration and taking courses toward a degree in English/Education, Nina Lake still finds the time to cultivate her passion; writing. She is near completion on two romance novels. She enjoys writing about flawed heroes/heroines seeking redemption in second chances. An avid reader, her favorite authors are Nora Roberts, Sylvia Day, Kristin Hannah, Zane, Kimberly McCreight and John Saul. She is also a member of Romance Writers of America. Learn more about Nina Lake and follow her blog at ninalakewrites.com. Follow her on twitter @NLakeWriter. Christine Platt Patrick developed her love for reading at a young age. Her mother says she could read before she could walk (but Christine knows that’s impossible). A lover of fiction and fantasy, Christine enjoys writing stories interwoven with the African diasporic experience. She holds a B.A. in Africana Studies from the University of South Florida and M.A. in African Studies from The Ohio State University. She also received her J.D. from Stetson University College of Law and enjoyed working in the energy sector before returning to her love for storytelling. Her debut novel, The Truth About About Awiti, was published in March 2015. She recently acquired representation by Emily Sylvan Kim of Prospect Agency. Christine lives in Washington, DC with her amazingly supportive husband, Joe, and adorable daughter, also known as Brown Bunny. You can learn more Christine at www.christineaplatt.com. Follow her on Twitter @christineaplatt. And look out for her happy dances! Stephanie A. Cain writes epic & urban fantasy. She is the author of Stormsinger, Stormshadow, Stormseer, and Sow the Wind. A native Hoosier, she writes urban fantasy set in the Midwest in addition to her epic fantasy. She has a BA in Creative Writing & History from Purdue University. She spends her work time at a small museum doing historical research, giving tours of a Victorian man-cave, and serving as a one-woman IT department. A proud crazy cat lady, she is happily owned by Eowyn, Strider, and Eustace Clarence Scrubb. In her free time, she enjoys hiking (except for the spiders), bird-watching, and reading. She enjoys organizing things and visits office supply stores for fun. She owns way more movie scores and fountain pens than she can actually afford. Christina Ochs is the author of historical fantasy novel Rise of the Storm and the upcoming Valley of the Shadow. Her first series, The Desolate Empire, is based upon the events of the Protestant Reformation and the Thirty Years War (1618-48). Many of her characters are also based on historical figures. With a bachelor’s degree in History and an MBA, Christina uses her writing to indulge her passion for reading and research. Publishing as an indie author provides an outlet for her entrepreneurial side and she is an avid supporter of fellow authors, both independent and traditionally published. Christina lives in a semi truck full time, traveling the United States with her truck driver husband and two cats, Phoenix and Nashville. Eliza Nolan was born and raised in Minneapolis, Minnesota. She lived in Charleston, South Carolina, for a few years, after which she returned to icy Minnesota – where she now lives with her two unruly cats in a house smaller than your closet. She is an avid reader and writer of YA. She has ghostwritten a novel or two, but also writes her own stuff, and has just published her debut young adult urban fantasy novel, Phoenix Awakens. Andrew McQueen is a writer of comics & graphic novels. His love of comics began at six years old when his mother introduced him to “The Death of Superman.” He is a member of the Critique Circle writing website which he also blogs for occasionally. Andrew made his publication debut with the poem “Sad Woman’s Blues” in the literary journal Absolute 2015 from Oklahoma City Community College where’s attending as a Literature major. He enjoys comics & graphic novels, urban fantasy, writing poetry and song lyrics, and rooting for his Oklahoma City Thunder. You can learn more about him at his blog, “Dreaming in my own Words.” Follow Andrew on Twitter. Agnes Gomillion is currently writing prose – young adult, issue driven, speculative prose. But she’s down for poetry too! Or any other medium that conveys the ideas she has to share. Writers like Thomas Paine, Octavia Butler, and Walt Whitman inspire her to write and she hopes to follow in their tradition by entertaining and educating with her words. Ernest Hemingway once said that “writing, at its best, is a lonely life” – and she couldn’t agree more, which is why she’s drawn to support other writers in the trenches. She’s excited and honored to be part of the Writing Challenge leadership team. OK, March – let’s go! You can learn more about Agnes at her blog, and follow her on Twitter. Beverley Lee is a freelance writer currently residing in the south east of England. In thrall to the written word from an early age, especially the darker side of fiction, she believes that the very best story is the one you have to tell. Supporting fellow authors is also her passion and she is actively involved in social media writers’ groups. The Making of Gabriel Davenport, her debut novel, will be released in April 2016. You can learn more about Beverley at her website, and follow her on Twitter. Growing up in Tasmania, Madeleine now lives in inner city Melbourne surrounded by books. After studying law (and never practising) and travelling the world, Madeleine now lives a double life, immersed in the corporate world by day and writing female-led science fiction by night. Her debut steampunk novella, Evangeline and the Alchemist–Mystery and Mayhem in steampunk Melbourne, is available on Amazon from 16 June 2016. When not writing, Madeleine enjoys podcasts, knitting, forteana, indie films, kettle bells and long blacks. You can learn more about Madeleine at her website, and follow her on Twitter. Kiera Lesley is a writer from Melbourne who wouldn’t be complete without tea, her journals, and a story about a kid defeating the monster under their bed. She’s currently working hard on her second novel and always has a host of shorter projects in various stages of completion at any one time. She loves stories about hope in dark places, pyrrhic victories, and magic within the mundane. She is a submissions reader for Aurealis magazine, volunteers for Writers Victoria, and socialises with other writers wherever possible. Kiera also likes cooking, napping, heavy metal music, and signing up for things on a whim. Her superpowers include kicking over tea cups and hugging people at awkward times. By day she is a professional democracy wrangler. You can learn more about Kiera on her blog and follow her on Twitter. 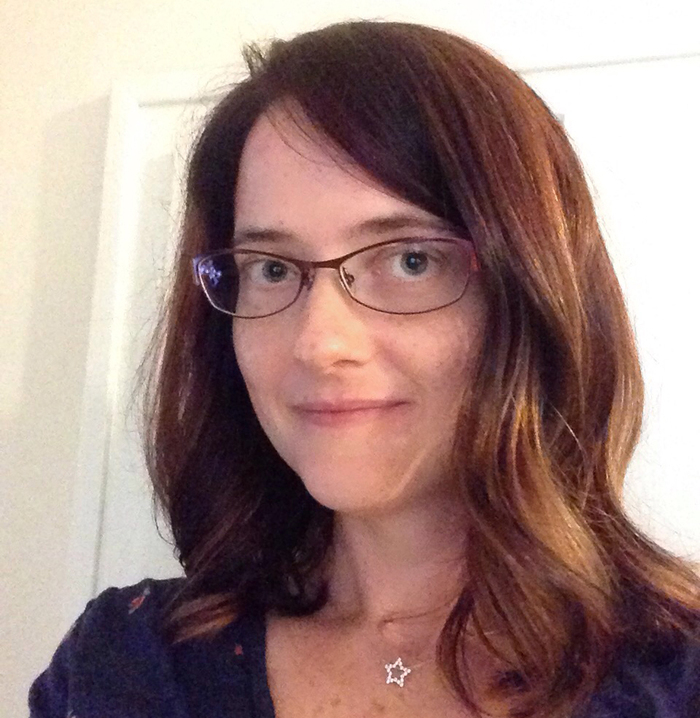 Eve Messenger is a YA writer and book junkie who lives in the lovely historical district of Orange, California, with her husband, children, dogs, and cats. Her speculative YA novels all pass the Bechdel test. Raised by a Japanese mom and an American dad, Eve spent much of her childhood running the streets with her cousins in rural Japan. By day, Eve works as a music and Japanese language teacher. By night, she alternates between grinning and weeping over crafting YA novels and building a writing career. Eve loves getting to know fellow writers and bookworms from around the world. You learn more about her on her blog, and follow her on Twitter and Goodreads. Sara General lives in Six Nations of the Grand River on Turtle Island (Canada). She belongs to the Mohawk Nation and the Turtle Clan. She has worked in the area of Indigenous education for the last ten years. 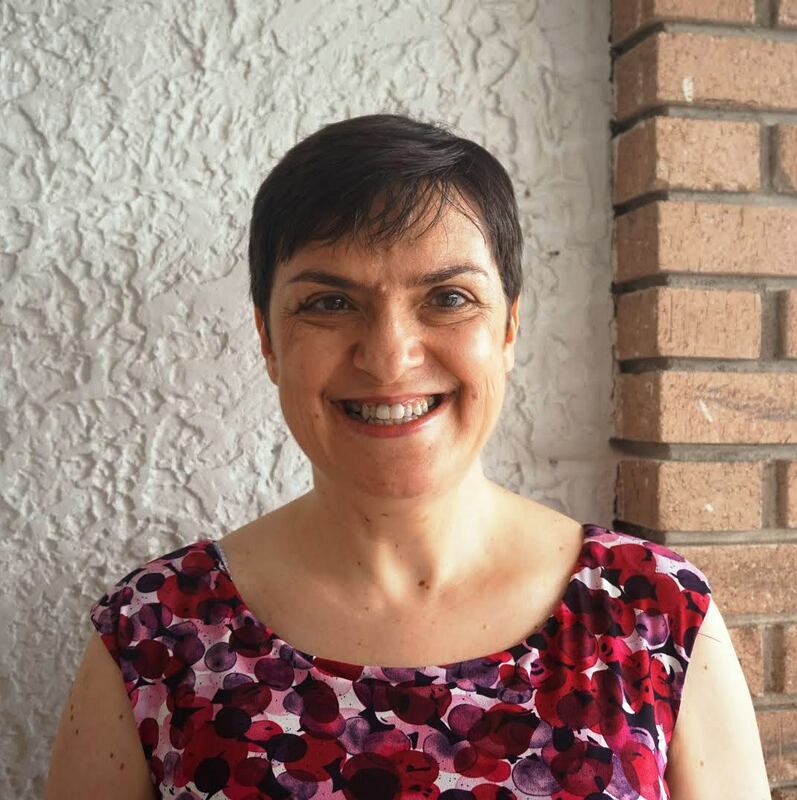 Sara holds a Bachelor of Arts in English and Indigenous Studies, a Masters of Professional Education and is currently completing a Doctor of Education at Western University in London, Ontario. Her greatest passion is for books and stories. She specializes in writing speculative fiction and in particular—mystery, science fiction and fantasy. One of her biggest dreams is to write and publish books in the Cayuga language. Much of her work is inspired by themes and events in Haudenosaunee history, myths and legends. Most of it has magic in it! To learn more, visit her website or follow her on Twitter. Dr. Tamara Girardi is an Assistant Professor of English at HACC, Central Pennsylvania’s Community College. She studied fiction at the University of St. Andrews in Scotland and writes young adult fantasy and contemporary works. Currently, she spends her writing time revising GRIDIRON GIRL, a YA contemporary about a girl who competes against her boyfriend for the starting quarterback spot of their football team. She is a mentee in the 2016 class of the famous PitchWars competition, being mentored by the wonderful author @MollyELee. When she’s not writing or teaching, she and her husband pass the time playing Buzz Lightyear and Sheriff Woody vs. Evil Dr. Pork Chop with their three children (ages 5, 3, and 1). Follow her on Twitter. When she is not writing diverse science fiction and fantasy with a chance of explosions, Alex Harrow is a high school English teacher, waging epic battles against comma splices and the misuse of apostrophes. A German ex-pat, Alex has always been drawn to language and stories. She began to write when she realized that the best guarantee to see more books with diverse characters on the shelves of bookstores was to write them. She cares deeply about social justice and wants to see diverse characters, including LGBTQ protagonists in more than the standard coming out story. She currently lives in Salt Lake City, UT with her equally geeky wife, two adorable feline overlords, and what could not possibly be too many books. Alex is represented by Michelle Johnson of the Inklings Literary Agency. Find out more about Alex on her website or follow her on Twitter. Christina Hawthorne spent much of her life searching, searching for people, places, and answers. She found them when she heeded the advice urging her to devote more to her passion for writing. She shrugged off the “old ways” that left her empty and miserable, relocated, and recognized the more she learned the more she learned how much she didn’t know. All the better for someone with a lifelong love of learning. Along the way was a book of poetry, The Renaissance Cycle, many short stories, and two novels. Also discovered was Ontyre, the otherworld location for her speculative fiction that stresses collaboration, equality, and hope. Home is two opinionated cats and glorious Montana mountains. Find out more about Christina on her website or follow her on Twitter. Eliza David is the author of the five-star rated, six-book Cougarette Series. She was born and raised on the noisy South Side of Chicago, but now lives in super quiet Iowa. When she’s not writing, working full-time, or raising two children with her loving husband, Eliza enjoys reading throwback Jackie Collins and indulging in the occasional order of cheese fries. Eliza is also a contributing writer for Real Moms of Eastern Iowa and Thirty On Tap. She was a featured panelist at the 2016 Iowa Soul Festival and was a headlining author at the 2016 Iowa City Book Fair. Her latest project, The Follow, hit Amazon in July 2017. Feel free to follow Eliza on Facebook, Twitter, Amazon, and Instagram.